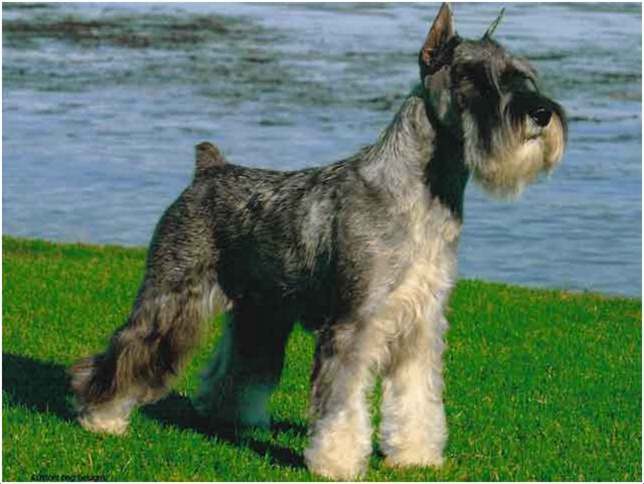 The Standard Schnauzer originated in Germany and was previously used as a herding dog. However, with its high intelligence, alertness, loyalty and strength it has been labelled as one of the best breed of dogs. It is also extremely playful and energetic as is common with most terriers and therefore makes a great house pet. They love to learn different kinds of games and other activities which will keep them mentally stimulated. 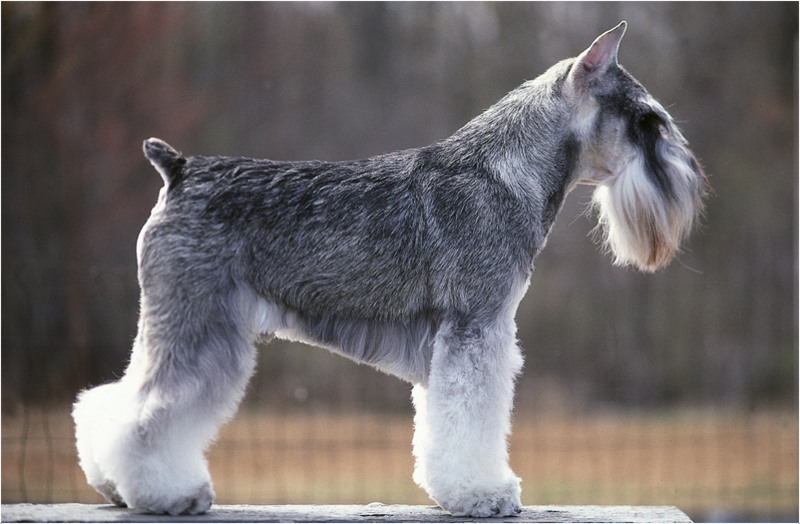 History – The Standard Schnauzer’s origins lie in Germany where it was basically very popular as a guard dog due to its high sense of alertness. He was also used to herd as well as guard the sheep and other livestock. 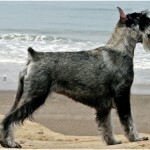 Subsequently, it became very popular for its looks and breeders started using him as a show dog in the 19th century. The word ‘Schnauze’ means beard in German, which means that his name is a reference to the mane-like beard under his chin. Health – This is a very healthy breed of dogs with very few health problems. Some diseases which are common to all dogs may also be contracted by them like hip dysplasia but it is not common. 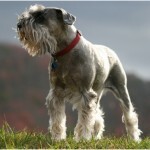 Personality – The Standard Schnauzer is an extremely intelligent dog with an above average IQ among dog breeds. It loves to play new games and can easily learn different activities. He is also quite inquisitive and curious by nature and loves to meddle in new stuff that he happens to get interested in. He is also great as a guard dog and very affectionate towards young kids in the family. Activity Requirements – These dogs are very energetic and enthusiastic by nature. A daily long walk or jog is absolutely essential. However, the best form of exercise for them is to play games like Frisbee catching which these dogs take an absolute delight in. Trainability – It is not very difficult to train this dog since he is quite intelligent and can learn what is expected of him easily. However, the owner needs to be firm and dominant with him. Also, if the dog finds that there is a reward in store for him if he obeys the trainer’s commands; he becomes very willing to obey. The rewards may be anything like food or some extra play time. 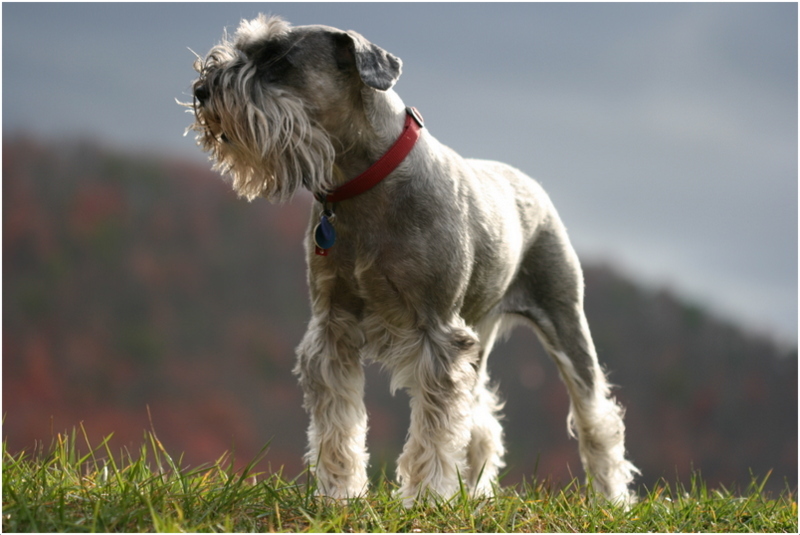 Behavioural Traits – Standard Schnauzers are happiest when they are playing or are involved in some exercise which is mentally stimulating. These intelligent dogs need a variety of new things to absorb themselves in on a daily basis. If they get bored, they can become destructive. They are generally suspicious of strangers. Also, they are curious by nature and have been known to run away from home after an interesting scent. Appearance – The Standard Schnauzer is a strongly built dog which looks robust. 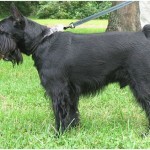 It has a wiry coat which makes it resemble the British Terriers but is actually not related to them in any way. They have a long beard and long eyebrows which give them the unique appearance which is also the reason behind their name ‘Schnauzer’ which means beard in German. Size and Weight – These dogs are medium in size. On an average, they can weigh between 16 to 25 Kgs. 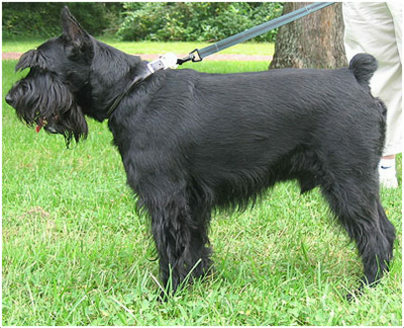 Coat and Colour – The colour of the coat is generally pepper and salt but can also be black, though it is rare to see a pure black Standard Schnauzer. The pepper and salt colouring is due to a mixture of white or silver and black hair which give shades of steel grey or iron grey. 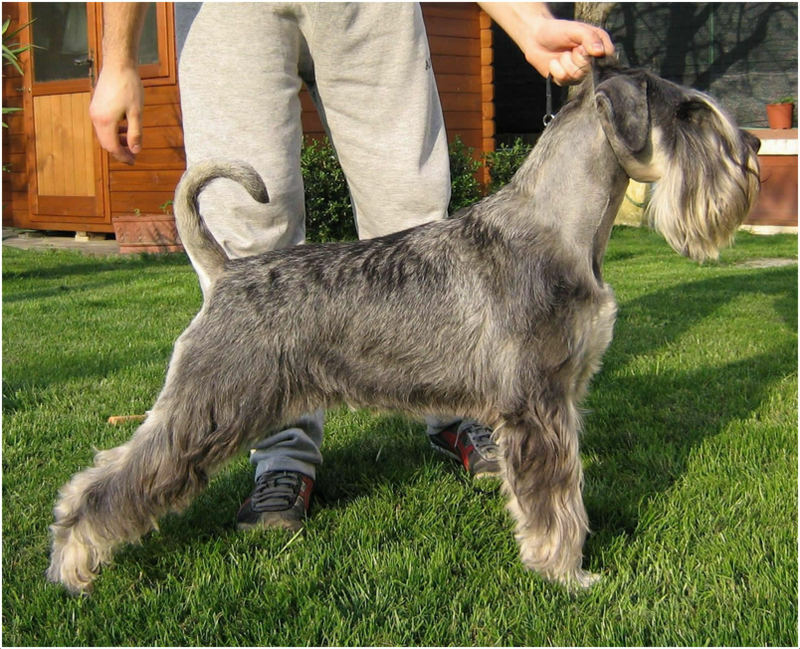 The dog has a double coat comprising of a soft undercoat and an overcoat which is wiry and hard. 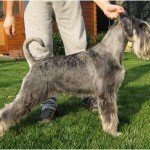 Grooming – These dogs require regular and careful grooming. Their coats tends to get ‘blown’ twice a year i.e. it becomes dull and limp and has to be pulled out so that a new coat can grow. Even otherwise, owners need to regularly clip the coat, particularly the smoother under coat which tends to mat up very frequently. Body Type – The dog has a square body which means that its height and length of the body are equal. His head is long and rectangular and ears are set high. 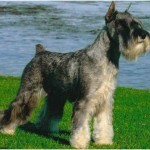 The body is also weather resistant because of the thick wiry coat. He is a dog of above-average intelligence. He is extremely playful and loves to play dog games. He is very good with children. He is friendly with other house pets if he has been brought up with them. He is territorial in nature. He makes a very good guard dog. He has high energy levels and requires a lot of exercise. He loves to be praised and petted. He loves to be the centre of attention. 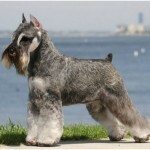 Standard Schnauzers are very active dogs. They are especially close to nature and love to go on hiking or trekking trips or for a regular walk or run on the beach or any other water body. It is easy to train this dog but the only requirement is a lot of regular exercise. He also loves to play games like Disc throwing, Frisbee catching etc. and requires a constant companion to play with him the whole day. He requires constant mental stimulation by engaging them in any kind of activity, be it play or any house work. An adult dog requires 1-2 cups of high quality dog food daily which can be divided into two meals or even three meals in a day. 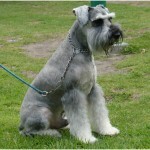 Full name of this dog is Standard Schnauzer. 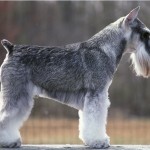 Other names it is known by are Mittleschnauzer and Schnauzer. Its origin is in Germany. It belongs to Terrier group of dogs. On an average, this dog lives for at least 15 years or more. The height of a male dog is 46-51 cms and that of a female dog is 43-48 cms. A male dog weighs roughly 16-26 Kgs, while a female dog weighs 14-20 Kgs. 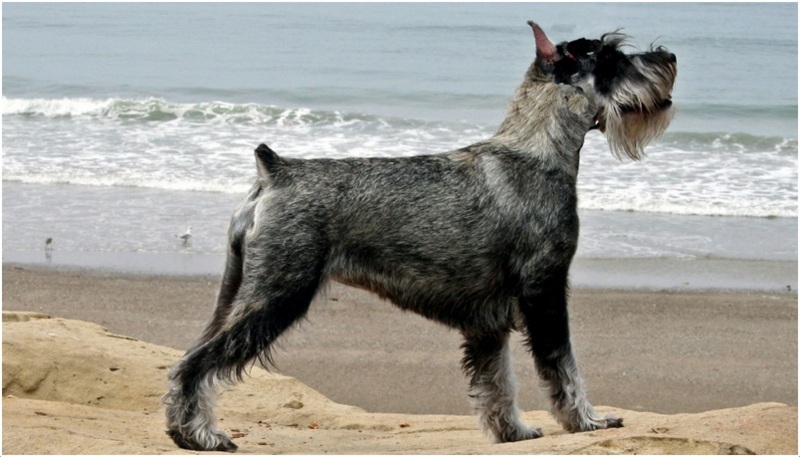 The colour of the coat is generally black or it may be a steel grey colour resembling pepper-and-salt markings. 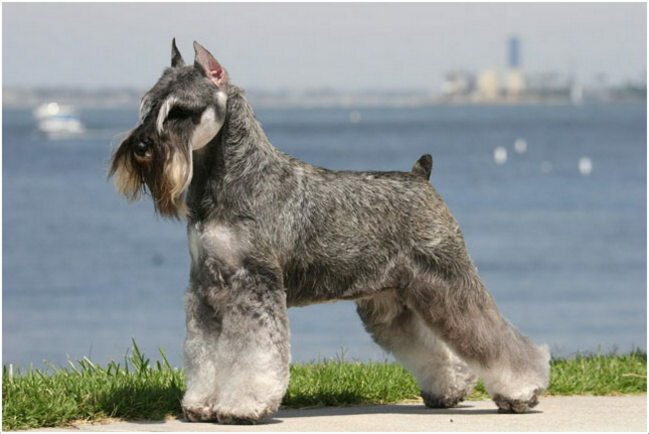 The average price of a Standard Schnauzer puppy is $700-$900. The puppies do not require more than a short walk as their daily exercise but they get a lot more energetic as they grow up. These dogs are very enthusiastic and playful and make great companions.